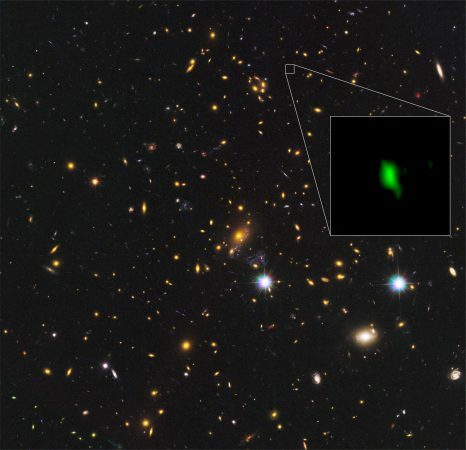 When astronomers discovered a cosmic explosion in a galaxy nearly 200 million light-years from Earth last June 16, they soon realized it was something different. 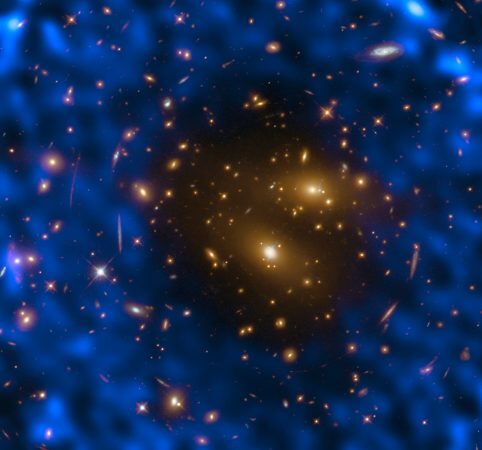 While still debating the details, scientists now believe they may have gotten their first glimpse of the birth of a powerful phenomenon seen throughout the Universe. ALMA and VLA images of AT2018cow at left; visible-light image of outburst in its host galaxy at right. Images not to same scale. 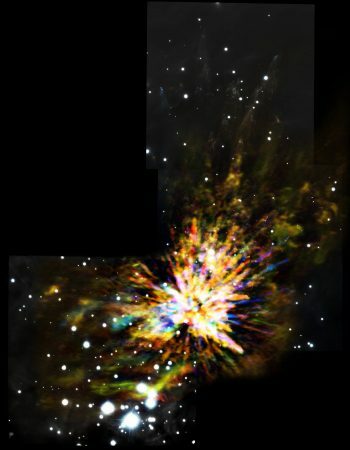 Images of the blast itself do not indicate its size, but are the result of its brightness and the characteristics of the telescopes. 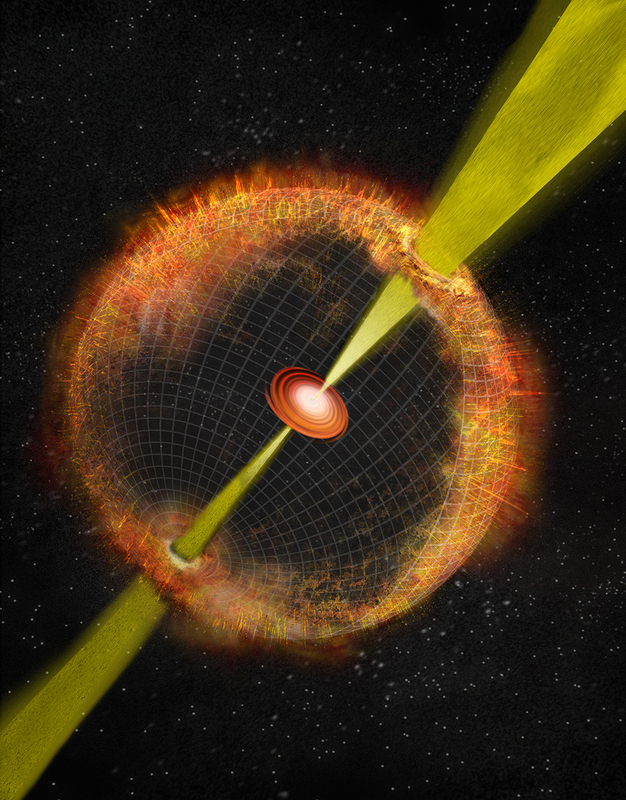 Credit: Sophia Dagnello, NRAO/AUI/NSF; R. Margutti, W.M. Keck Observatory; Ho, et al. The explosion was discovered by the ATLAS all-sky survey system in Hawaii, and immediately got the attention of astronomers. First, it was unusually bright for a supernova explosion — a common source of such outbursts. In addition, it brightened, then faded, much faster than expected. 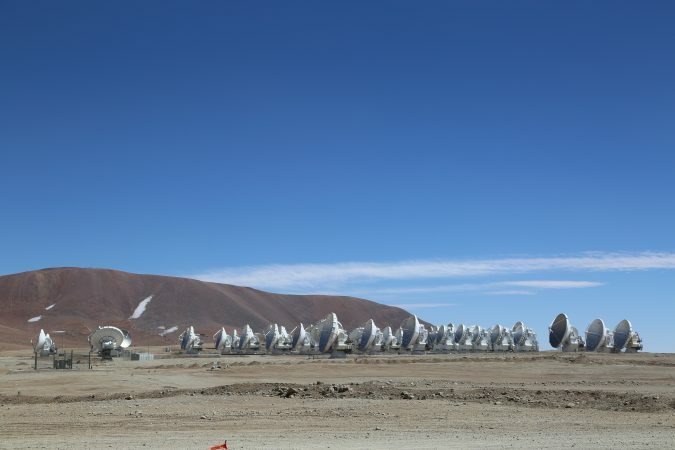 Half a year later, “despite being one of the most intensely studied cosmic events in history, watched by astronomers all over the world, we still don’t know what it is,” said Anna Ho, of Caltech, who led a team using the Atacama Large Millimeter/submillimeter Array (ALMA), in Chile, among other telescopes. The object, dubbed AT2018cow, “heralds a new class” of energetic cosmic blasts, Ho added. 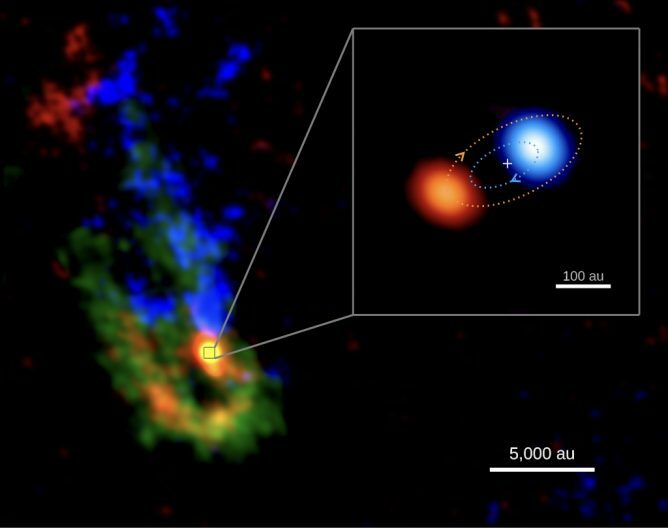 The explosion’s unusual characteristics “were enough to get everybody excited,” said Raffaella Margutti, of Northwestern University, who led a team that used telescopes ranging from gamma rays to radio waves, including the National Science Foundation’s Karl G. Jansky Very Large Array (VLA), to study the object. “In addition, AT2018cow’s distance of 200 million light-years, is nearby, by astronomical standards,” making it an excellent target for study, Margutti said. Astronomers are presenting their findings about the object at the American Astronomical Society’s meeting in Seattle, Washington. After watching the object and measuring its changing characteristics with a worldwide collection of ground-based and orbiting telescopes, scientists still are not sure exactly what it is, but they have two leading explanations. It may be, they suspect, either a very unusual supernova, or the shredding of a star that passed too close to a massive black hole, called a Tidal Disruption Event (TDE). Researchers are quick to point out, however, that the object’s characteristics don’t match previously-seen examples of either one. “If it is a supernova, then it is unlike any supernova we have ever seen,” Ho said. 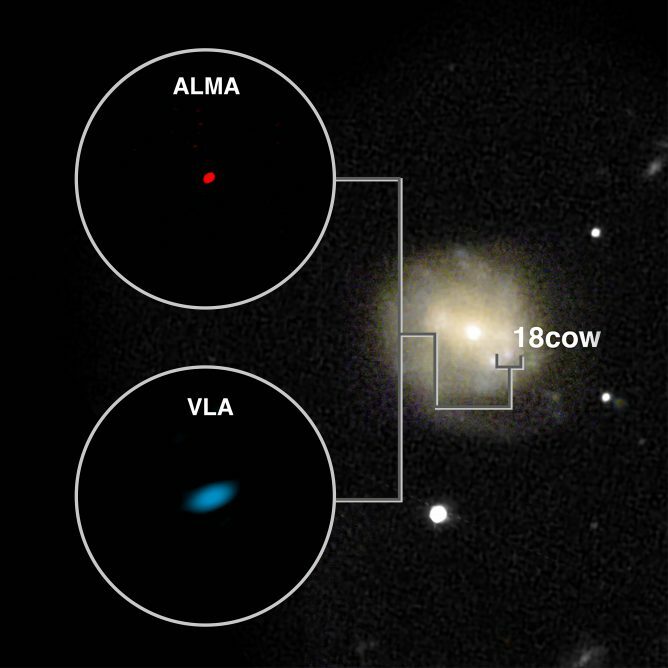 The object’s range of colors, or spectrum, she said, “doesn’t look like a supernova at all.” In addition, it was brighter in millimeter waves — those seen by ALMA — than any other supernova. It also differs from previously-seen Tidal Disruption Events. Most of the researchers agree that AT2018cow’s behavior requires a central source of ongoing energy unlike those of other supernova explosions. The best candidate, they said, is a black hole that is drawing material from its surroundings. The inflowing material forms a rotating disk around the black hole and that disk radiates prolific amounts of energy. 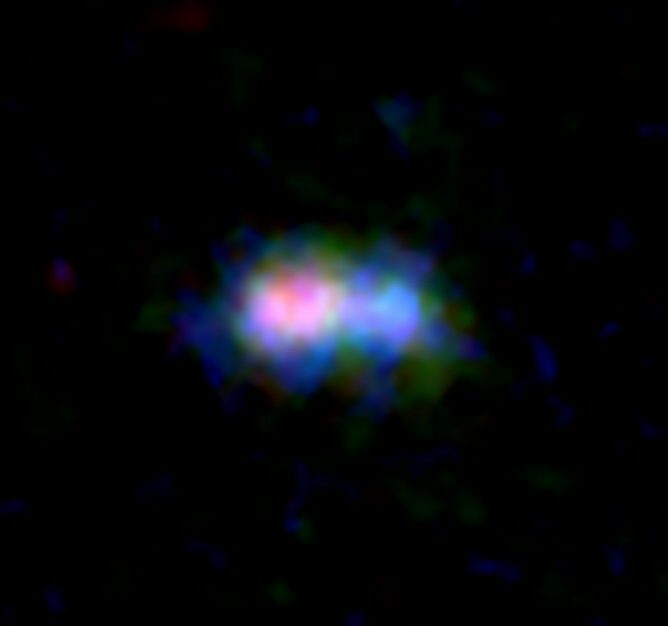 This is the type of “central engine” that powers quasars and radio galaxies throughout the Universe as well as smaller examples such as microquasars. Artist’s conception of a cosmic blast with a “central engine,” such as that suggested for AT2018cow. 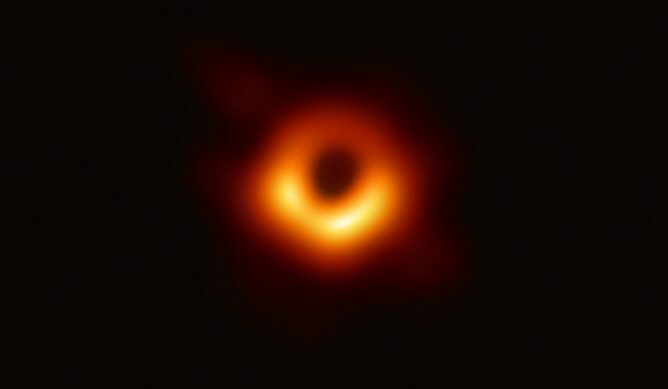 Black hole at center is pulling in material that forms a rapidly-rotating disk that radiates prolific amounts of energy and propels superfast jets of material from its poles. Jet encounters material surrounding the blast. When a star much more massive than the Sun ceases thermonuclear fusion and collapses of its own gravity, producing a “normal” supernova explosion, no such central engine is produced. However, in the extreme cases called hypernovas, which produce gamma ray bursts, such a central engine produces the superfast jets of material that generate the gamma rays. That engine, however is very short-lived, lasting only a matter of seconds. If such a central engine powered AT2018cow, it lasted for weeks, making this event distinct from the collapse-induced explosions of supernovas and the more-energetic such explosions that produce gamma ray bursts. In the case of a TDE, the “engine” would come to life as the black hole drew in material from the star shredded by its gravitational pull. Alternatively, the “engine” resulting from a supernova explosion might be a rapidly-rotating neutron star with an extremely powerful magnetic field — a magnetar. “We know from theory that black holes and neutron stars form when a star dies, but we’ve never seen them right after they are born. Never,” Margutti said. “This is very exciting, since it would be the first time that astronomers have witnessed the birth of a central engine,” Ho said. However, because of AT2018cow’s strange behavior, the verdict still is unclear, the scientists said. The central energy source could be a powerful shock wave hitting a dense shell of material at the object’s core. Either the strange supernova or the TDE explanation still is viable, Ho’s team said. The astronomers look forward to more work on AT2018cow and to more objects like it. 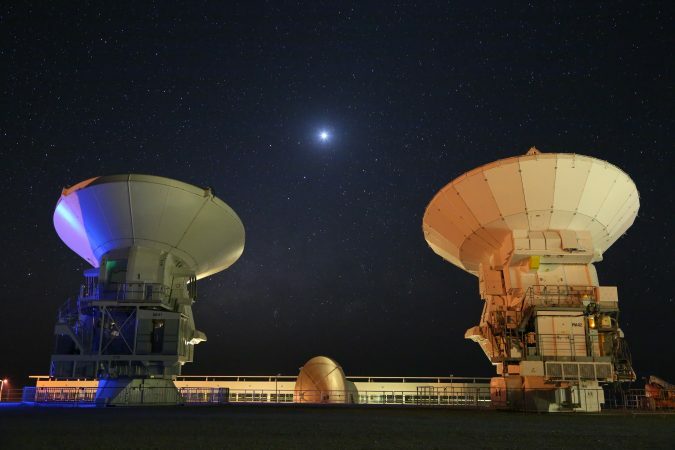 “During the first few weeks, this object was very bright at millimeter wavelengths, so that means that, with ALMA now available, we may be able to find and study others,” Ho said. 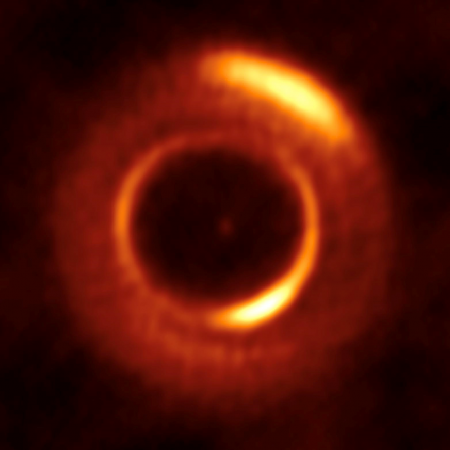 “The peak strength of the radio emission starts at ALMA wavelengths, and only moved to VLA wavelengths after a few weeks,” she added. 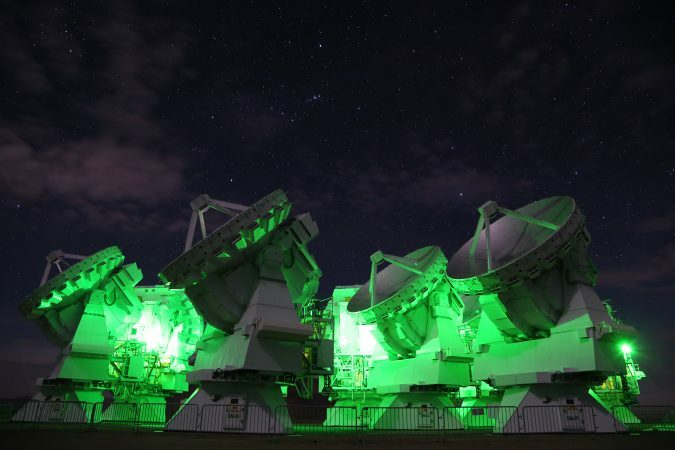 These observation results were presented in the 233rd American Astronomical Society in January 2019. Also the results will be published as Ho et al. “AT2018COW: A LUMINOUS MILLIMETER TRANSIENT” in the Astrophysical Journal.